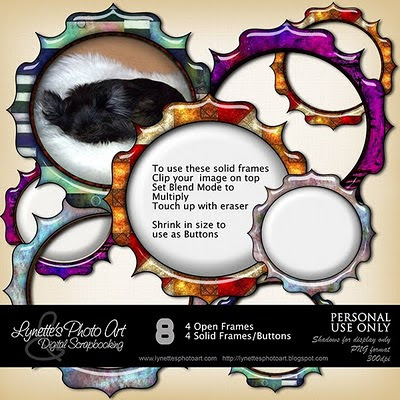 Glossy Frames has 4 open frames and 4 solid frames that are rich and glossy! Click image to enlarge. Click Buy It Now Button below image to purchase for $1 at my PayPal Store. Today I'm giving you a sample to try them out.